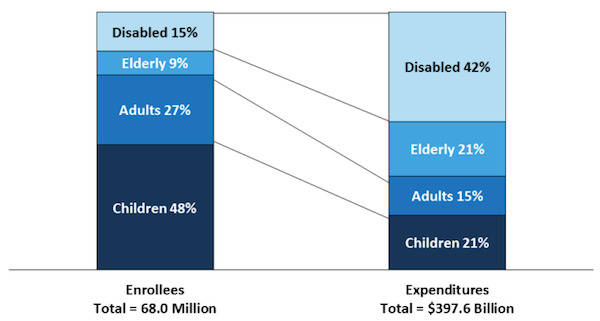 Data Source: KCMU/Urban Institute estimates based on data from FY 2011 MSIS and CMS-64. MSIS FY 2010 data were used for FL, KS, ME, MD, MT, NM, NJ, OK, TX, and UT, but adjusted to 2011 CMS-64. This entry was posted in Data Watch on January 4, 2017 by Genevra Pittman.